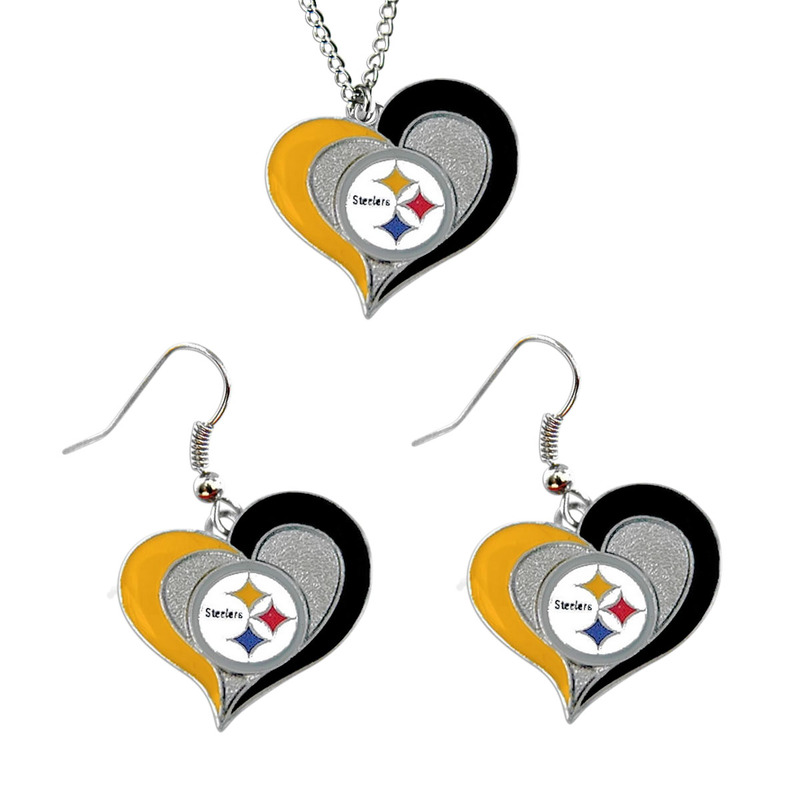 NFL Swirl Heart Dangle Earring & Necklace set. Brand new never been used. 3/4 inch charm and 18 inch chain. You will not be disappointed with this product. Great for any sports fan. Official Licensed NFL product. Disclaimer: The color may change or appear different. Product: Necklace & Dangle Earring Set.